E&Y Distributors Inc,since it was established in 1992 strived to be a pioneer in the Taxi & Limousine parts business.We have grown over the years from a small Wholesale Taxi parts to a major distributor. 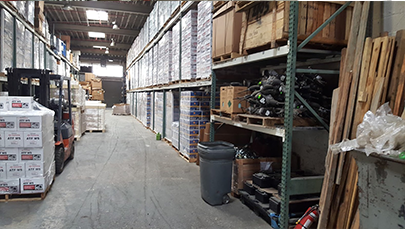 The company moved to the current warehouse location five years ago to be close to its customers in order to provide the best service possible. With the continuously challenging Taxi & Limo wide parts lines products due to the introduction of multiple T&LC approved vehicles in service, we expanded our inventory to cover most of our customer’s demand. We are continuously working hard to expand, add and improve our existing inventory to cover most of our customer’s demand. We carry OE parts for Toyota & Nissan with competitive prices specially for the taxi & Limo industry. Our mission was and will continue to offer the best parts and service with the best competitive prices.